How is the ELCA carrying out its vision of diversity? In 30 years the nation’s increased racial and ethnic diversity hasn’t changed ELCA demographics, according to statistics. Since the 1980s, the U.S. Census Bureau shows the total number of African-American, Latino/Hispanic, American Indian/Alaska Native, Asian American and biracial citizens as a group has more than doubled. While the most recent Pew Religious Landscape Study (2014) indicates several religious groups reflected this growth, the ELCA did not. That’s despite targeted efforts to reflect that diversity. Assembly actions gave momentum to efforts to address racism, segregation and inequality directed at people of African descent, said Lamont Wells, director for evangelical mission for the Metropolitan New York Synod. As president of the African Descent Lutheran Association (ADLA), Wells works to connect congregations to the “African Descent Lutherans’ Lives Matter” and “Deepening Relationships with Historic Black Churches” memorials. These documents are to aid in exposing and healing old wounds. Wells is involved in efforts to ensure that the African Methodist Episcopal Zion (AMEZ) Church will become the ELCA’s first historically black church full communion partner. To that end, Wells advises ELCA congregations to seek relationships and partnerships with neighboring AMEZ congregations or other historic black churches. This is seen as an ongoing challenge in the ELCA, with a membership that is 96 percent white. The Pew study lists the denomination among the nation’s least diverse religious groups. Since its beginning, the ELCA has struggled to become a church reflective of the nation’s demographics, said Inez Torres Davis, Women of the ELCA’s director for justice. Talks that led the three predecessor bodies—the American Lutheran Church, Association of Evangelical Lutheran Churches and Lutheran Church in America—to merge were marked by a desire to one day increase the number of members of color, she said. This required exploring the presence and nature of racism, she added. So in 1991 the ELCA held its first conference on racism and justice in the church. In 1993 the ELCA approved the social statement “Freed in Christ: Race, Ethnicity and Culture.” It said: “People will come from the east and west, north and south to eat in the reign of God (Luke 13:29). … [D]iversity of cultures is both a given and a glimpse of the future” (elca.org/socialstatements). The 1993 statement included a goal to draw 10 percent of ELCA members from “African-American, Asian, Hispanic or Native American” communities by 2003. The target seemed ambitious for a church with a membership hovering near 98 percent white. While the ELCA implemented numerous actions to achieve it, increased diversity remained frustratingly elusive. Church leaders have since shifted to diversity goals that encourage congregations to reflect their communities, Roberts said. This involves strategies to identify opportunities in the surrounding community. Discussion within congregations can reveal new ministries, she said. Questions about justice and inclusion of underrepresented groups can help congregations see new opportunities. “Our synod is unusually diverse already. … At last year’s [Southwest California] Synod Assembly, 22 percent of the voting members were people of color or first language other than English. We’re proud of that, but we still don’t come near to the diversity levels of the city in which we are embedded. “A few of our congregations have done very well through the generations in absorbing new people in the neighborhoods around them; others continue to struggle with that. We need trust and faith and courage to invite people different from us to be part of our congregations, and openness to the new things they will bring. The doctrine of discovery drove centuries of European exploration and colonialism from the mid-15th century on. The belief in Christian superiority and power was used to legitimize claims on lands inhabited by indigenous peoples, including ancestors of ELCA members of American Indian and Alaska Native heritage. To follow ongoing initiatives, follow the ELCA American Indian/Alaska Native Lutheran Association on Facebook. The African Descent Lutheran Association biennial gathering will take place July 22-25 in Philadelphia. The event is a joint assembly with the Union of Black Episcopalians. The event will focus on a Reformation commemoration through the lens of the “African Descent Lutherans’ Lives Matter” and “Deepening Relationships with Historic Black Churches” memorials. For details, follow the organization on Facebook or visit ADLAELCA.org/biennial-assembly. 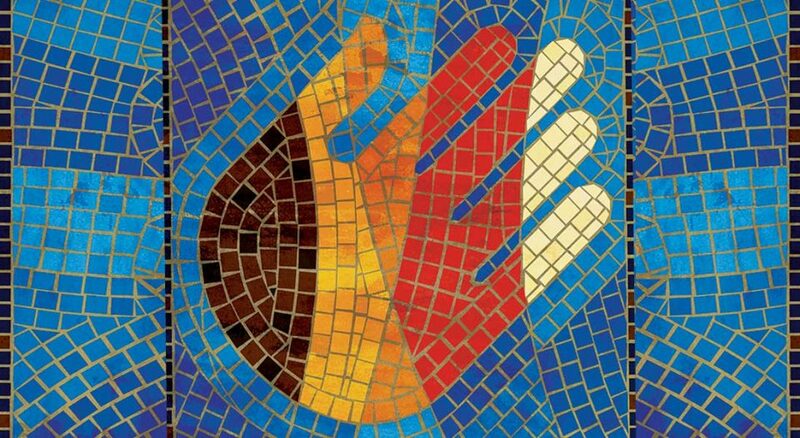 “One Body, Many Members”: ELCA Racial Justice Ministries has reissued this congregational resource, a faith-based study of race, culture and class. 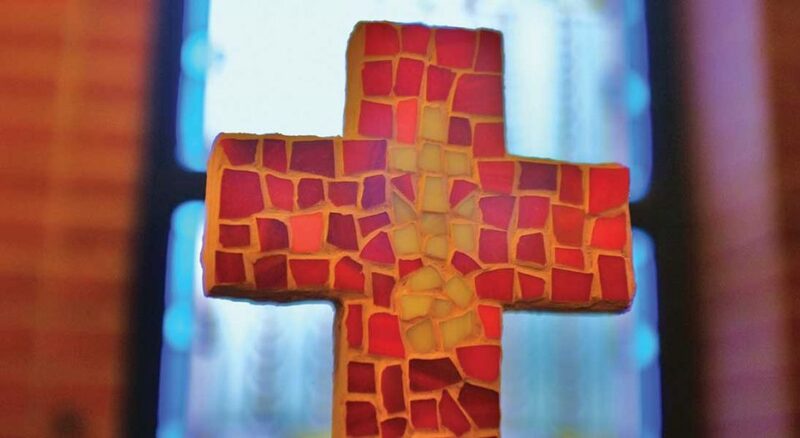 Ethnic Specific and Multicultural Ministries: The ELCA offers mission strategies and other tools related to African Descent, American Indian and Alaska Native, Arab and Middle Eastern, Asian and Pacific Islander, and Latino ministries. There also are resources on anti-racism advocacy and dismantling racism, white privilege and power. “Talking Together as Christians Cross-culturally: A Field Guide” and “Talking Together as Christians about Tough Social Issues” are both available in English and Spanish. “Do black churches matter in the ELCA?”: ELCA seminarian Lenny Duncan produced a two-part documentary where he interviews church leaders, including Presiding Bishop Elizabeth Eaton, for his project. Watch the videos: part 1 and part 2. Today’s Dream; Tomorrow’s Reality: Women of the ELCA coordinates anti-racism education trainers through the network Today’s Dream, Tomorrow’s Reality, which has representatives in most synods. For more information, contact your synodical women’s organization or Women of the ELCA. The organization also provides free, downloadable materials at welca.org. These include a racial justice bibliography, studies and the free discussion guide “How to have helpful conversations about race in the church.” A five-part anti-racism Bible study is available at welca.org/resources. Karris Golden is a professional writer-editor and a member of Bethlehem Lutheran Church in Cedar Falls, Iowa. She writes a weekly faith and values column for The Courier and lives in rural northeast Iowa with her daughter, Zoey Golden Neessen. 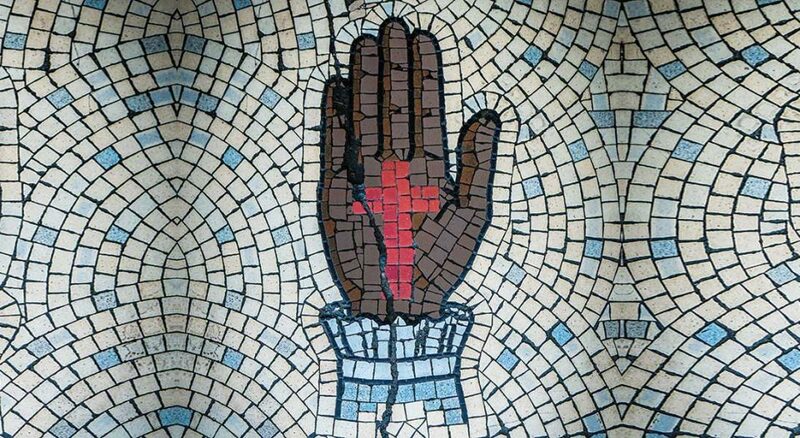 The ELCA’s 1993 social statement “Freed in Christ: Race, Ethnicity and Culture” reminds us that when it was formed in 1988, the denomination established a goal to grow its membership to 10 percent people of color or language other than English. Now, 24 years after that social statement and 29 years after the ELCA’s formation, we have not budged the needle. Our membership is 96 percent white. Why is this so? Certainly we can do better.